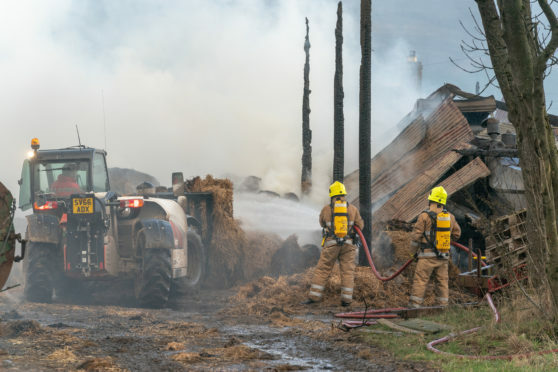 Firefighters have been battling a blaze at a farm in Moray that left one man with burns and suffering from smoke inhalation. A fire spokesman explained that two farm buildings were on fire, in addition to several bales of hay. He said: “One person was treated for minor burns and smoke inhalation, so the ambulance service was called”.